I thought it might be kind of fun to start a new series on m' blog. The Tuesday Ten was an absolute blast. It was an awesome opportunity to learn about YOU! Some days, I honestly get tired of composing posts about me. I start to run out of ideas, and I can tell when my content is lacking the pizazz my readers so desperately deserve. What's a gal to do? After a few hours of bloggie browsing and brainstorming, I figured I might take direct inspiration from one of my favorite blogs, Jane Reaction. Jane is a freelance graphic designer and blogger who has a weekly feature Need Read Greed in which she invites other bloggers to weigh in. What do you think? Are you game? 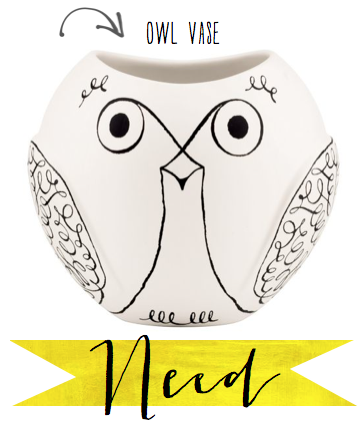 Need: Woodland Park Owl Vase // How adorable is he? I mean really! 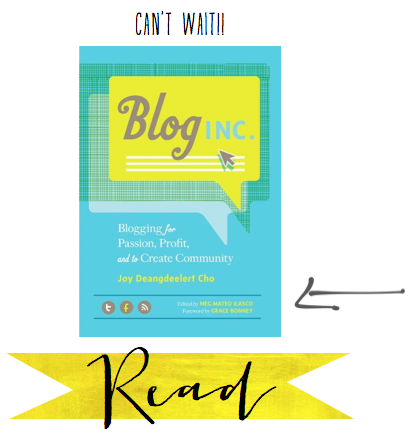 Read: Blog, Inc.: Blogging for Passion, Profit, and to Create Community // I could use some advice. 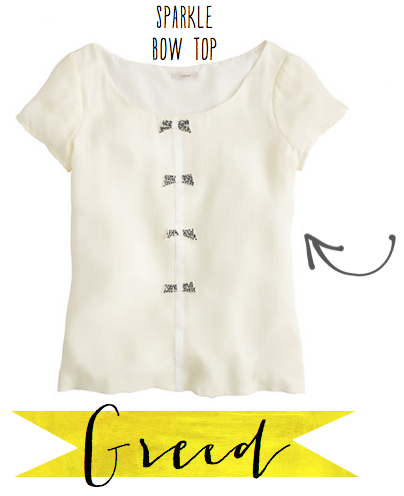 Greed: Sparkle Bow Top // I can't even muster the words to describe how much I adore this shirt. So now that you know the name of the game, please tell me you'll partake! Just email me your Need Read Greed items, and a reader/blogger will be featured each week. What is the difference between a "need" item and a "greed" item? love this new idea and think it's a great way to change things up! but do agree what is the difference between the need & greed ? And "Anonymous" please disguise yourself. Ha ha! Who are you?? Love the owl! It's pretty fun that owls are kind of in right now because we are the Night Owls. I even got 2 owl related gifts from family before they knew that. Spoiler alert: my need item is going to be a FaceTime date with you! Tommy and Ellie, I'll be emailing you about joining this series. I can't wait! !